GalaCollider Demo with the Designer! 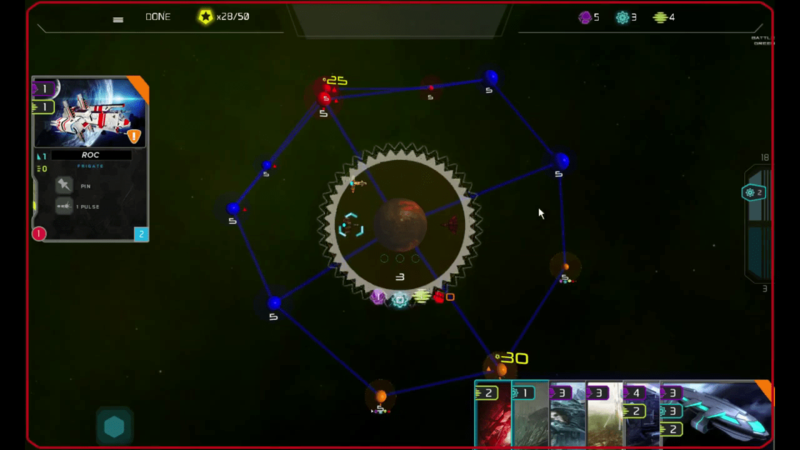 Last night, I sat down with Marketing Manager Nina Park and Game Developer Trevor Worral of NeoCrux to talk about their currently Kickstarting 4X space strategy card game, GalaCollider! It’s basically a multiplayer 4X card game, in which you use the hand you’re dealt to build ships and planetary improvements, as well as give buffs to your systems and ships, rather than simply choose from a list. This, plus the randomly generated maps, makes the game VERY dynamic and interesting. I kinda love that you only have a certain pool of things you can choose from in a turn, and you might never know what those are until the turn starts and you pull more cards from your pile. Trevor gave me a solid whooping as I lost to him twice in a row, but I’ve rarely had more fun loosing. I think this is gonna be a great game that y’all need to check out, so head over to their Kickstarter and give ’em a look. Thanks for watching!